These are unaltered notes from owners of our puppies. We will gladly provide you with contact information for these and others upon request. As an avid dog lover, particularly golden retrievers, I searched many breeders across the nation to find a puppy when my older golden went on to happier trails. Since I planned to devote significant energy and time to this puppy, I wanted an intelligent companion, one that was not too big, had a specific disposition and was of the red, field hunting line of dogs. Genetics were important, for the size, head shape, coat and long-term health, and “birdiness” but I wanted more. 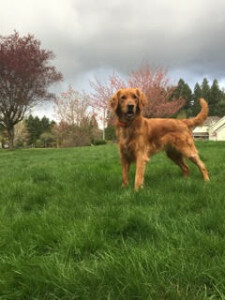 Mark and Molly Liter provided that; as breeders who understand the genetics of an athletic, field-trained hunting companion as well as a family member. They carefully select their dogs for breeding, and then add the ingredient that makes these dogs so different from any others: early training and extensive socialization. Mark starts from their earliest moments, helping them achieve their fullest potential. They are introduced to various stimuli including loud noises and grooming. They learn quickly and are given such a start by Mark and Molly who have several dogs that are impeccably trained. These dogs have terrific noses, field coats, athletic endurance and attitudes that quickly endear them to even strangers; these dogs stand out in a crowd! The only thing better than having one of these dogs, is having more than one…we just got our second puppy from Mark and Molly (we already have a two year old). Friends saw ours and now have a sibling. These dogs and the relationship I have developed with Mark and Molly is truly impressive. I look forward to many good years with red golden retrievers splashing in and out of our creek. 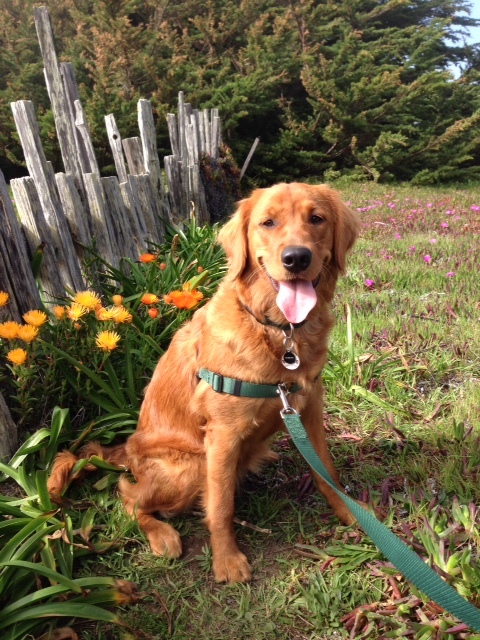 I am so thankful we chose to get our Golden Retriever from Mark. 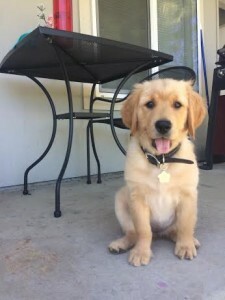 He was extremely kind, helpful and informative, and worked with us to fit us with the perfect puppy. We weren’t able to physically see Oscar until we picked him up to bring him home, so Mark kept us updated and sent pictures until we were able to pick him up. And what an exciting day that was!! Mark was very efficient and had all the paperwork and everything we needed ready for us. Oscar is the perfect fit for our family and has brought us so much joy and laughter. He is such a goof ball! He is so smart, very healthy, and is such a beautiful dog! He genuinely smiles when he’s really happy, and is never far away from his people. 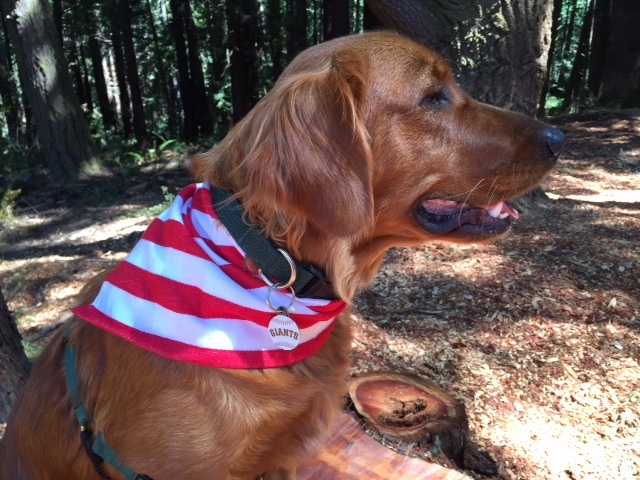 Thank you, Mark, for your dedication to raising such perfect Goldens. Oscar is perfect! We have had a great experience with Mark. We loved how the puppies were raised inside the home and given so much love until they went to their new families. We received several videos a week of the puppies until we were able to come pick her up. 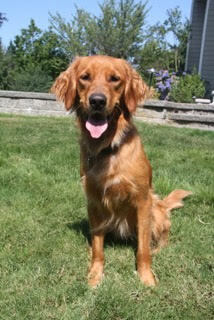 He is a very educated breeder and we are very excited to have one of his golden retriever puppies. We love our little girl and would recommend Mark and his puppies to anyone! 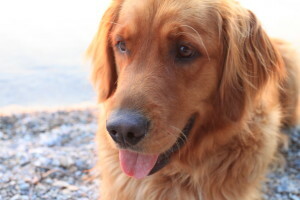 When looking for a puppy I spent months and months researching golden retriever breeders. I came upon Mark’s litter of puppies through Ponderay Goldens. We wanted a dark golden that could be trained to be a therapy dog. Mark was great to work with. He is knowledgeable about Goldens and raises healthy and happy puppies! He updated us with puppy pictures every step of the way and has stayed in contact even 2 years later. He cares about his puppies and wants them in good homes. We love our Bentley girl and are so thankful we got her from a loving breeder! 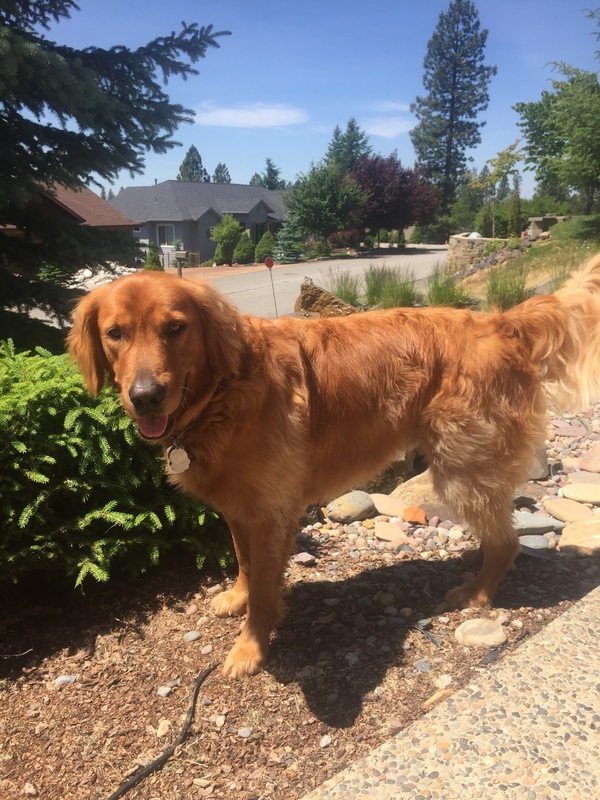 If you’re looking for an amazing golden friend I would highly recommend Mark’s Golden Retrievers! Mark Liter is a professional with the academic, practical, and expertise that makes him a top choice as a breeder to purchase superior golden retrievers. Our dog, Rex, is everything that Mark promised he would become. Mark’s breeding program has produced loving, smart and loyal dogs. They are great family dogs that can be trained to be superb bird dogs. The fee for his golden retrievers are commiserate for what you get, a great friend for many years. When we first discussed adding a puppy to our home my fiancé wanted a hunting dog and I wanted a family dog that would be mellow and get along with my two older cats. We were very nervous that our ideal dog simply didn’t exist. 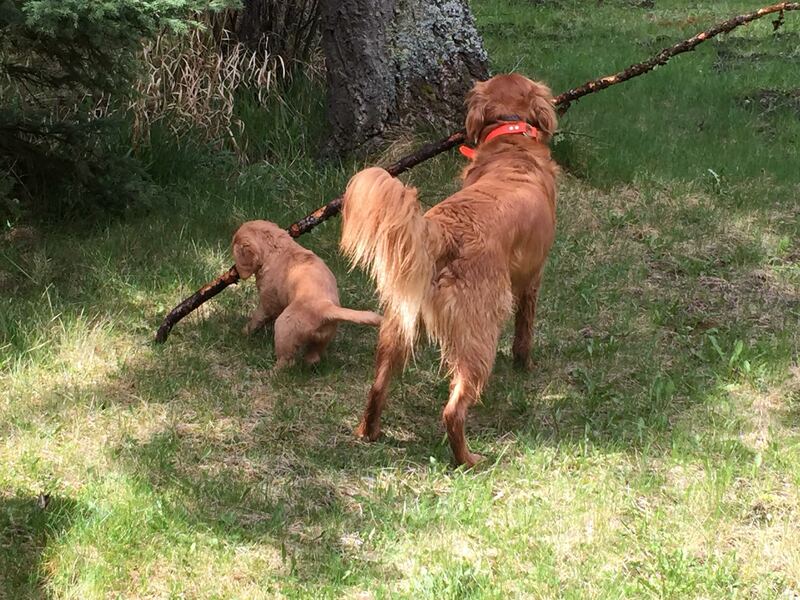 By a recommendation of a friend we found Eagle Ridge Goldens. When we first contacted Mark he was extremely helpful in describing the puppies he bred and what sort of dog they would become. He sent us texts and videos from the moment they were born and helped coordinate getting our puppy to us in Colorado. We never imagined we would have a dog that fit our desires so well. Our 7 month Mason is the most loyal, friendly, intelligent and loving dog. He is eager to please and has already mastered many more commands than most adult dogs we know. He is gentle and playful with our cats and great around kids. 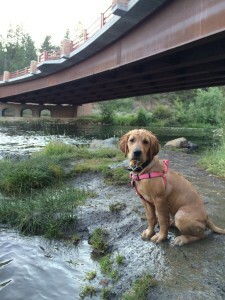 He sleeps on loud construction sites, is calm in the canoe, loves to swim, and is always eager to fetch a bird wing. We couldn’t be more thankful and blessed to have found such an amazing dog from such an amazing breeder.